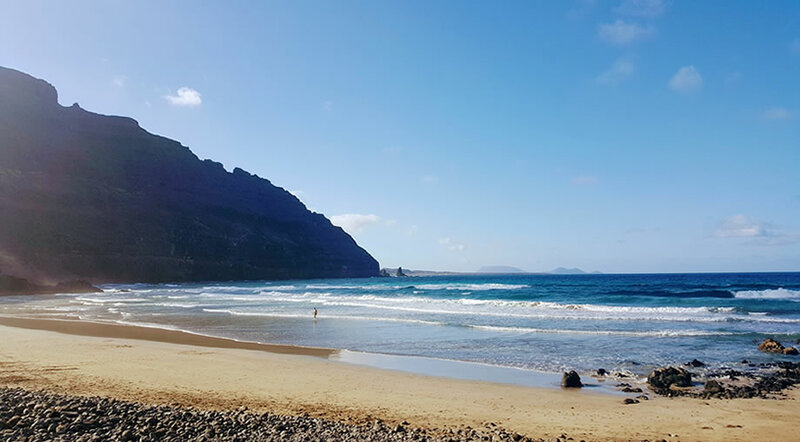 Lanzarote is mainly a destination for sun and beach lovers, but the island has so much to offer beyond the beautiful beaches and great weather. Most of the attractions in Lanzarote revolve around Cesar Manrique and his great influence on the island's development, so you may have hear already about places like Jameos del Agua, Mirador del Rio or Cueva de los Verdes. But if you're like us and you keep returning to this beautiful island again and again, you may think you've seen it all by now. However, on our explorations we keep discovering new places, not so popular among tourists, but still worthwhile seeing. 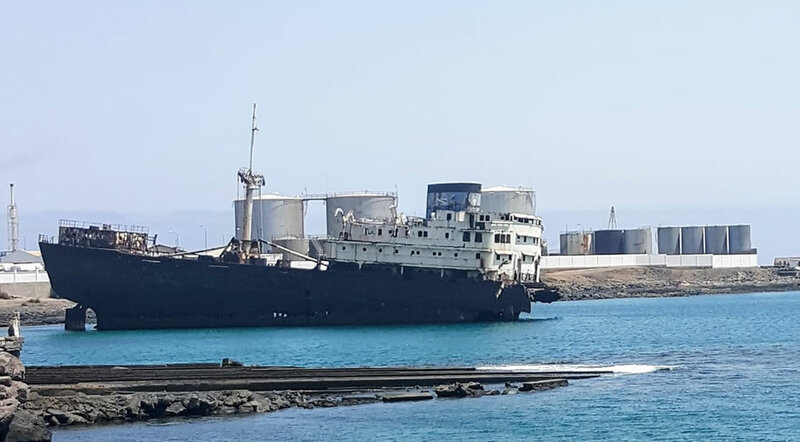 An unusual and may eerie sight in Lanzarote is that of the half sunken ship near the capital of Arrecife. It's not on the usual tourist path, but it's just a small detour if you have a car hire and want to go see it. Read more details about it in our article about things to do in Arrecife. The name of Los Charcones represents a series of small natural pools, formed on the south west coast of the island, close to Playa Blanca. From the Peciguera Lighthouse, where the maritime promenade ends, you have to walk around 3 km in order to reach these pools. It's tricky, because you have to be careful walking on the rocks in order to reach them. Also, you need to be careful in regards to the tide levels and state of the ocean, as it can be dangerous to swim here sometimes. 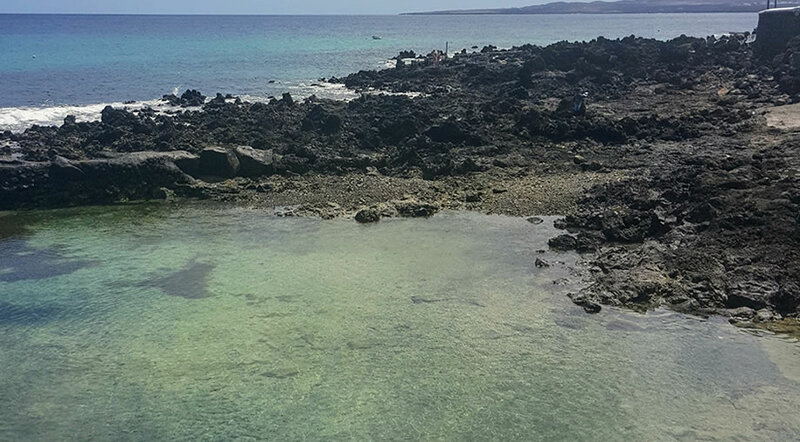 This is a secluded place in Lanzarote, one that not many manage to find, so if you come here during a lovely summer day, you will have for yourself one of the best natural pools in Lanzarote. Many people pass by the small village of Punta Mujeres on their way to Jameos del Agua, but few ever stop here to visit this authenic place in Lanzarote. Punta Mujeres is a small canarian fishing village, where you can eat fresh fish and seafood at a local restaurant just in front of the natural pool of Punta Mujeres, also known as Piscina Natural El Muro. It's a nice and safe place to swim, right in front of the restaurant La Piscina, where they serve a nice gambaj al ajillo and puntillas de calamares (fried baby squid). They don't have an English menu, so if you don't know Spanish at all it may be a bit difficult to order. In the very north of Lanzarote you will find the village of Orzola, the departure point for most of the excursions towards La Graciosa. Not many people actually stop to explore the sleepy village of Orzola, which means that you won't find many tourists here, even during the summer months. From Calle la Quemadita you take a turn onto a road that it will soon become a dirt road and will take you to Playa de Orzola. This is one of those wild beaches, with no amenities or bars on the spot, but the view with the giant cliffs on one side is worth the trip. The waves and currents usually make it unsafe to swim, but you can still spend a few moments here enjoying the sights. Driving from Haria towards Teguise, you will see on the left a restaurant named Bar Restaurante Los Helechos. Stop in the parking in front of the restaurant and from there you will have an unobstructed view towards the ocean and the valley. This place is not marked as a proper Mirador (viewpoint), but it's worth it to stop to enjoy the view.